14th and 15th July. More than 6 events over the weekend. Hoo boy, talk about having your work cut out for you. THE MAGIC RAIN had the chance to go to The Rift @ Mid Valley for the weekend to take a look at the World Cosplay Summit, because anything with “World” in it must be a big deal. So here’s the gist of it. 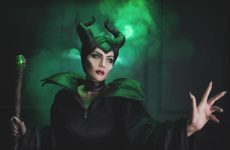 World Cosplay Summit is a yearly competition which pits teams from all over the world to determine the best of them all, based on skill, prop design and flair. The competition has been running since 2003 and last year, nearly 35 teams from all over the world took part. It’s a pretty big deal. This event was held to look for Malaysia’s representative for this year, so there’s definitely quite a lot at stake. So let’s go through the event day-by-day and see what went down. The day started around 12pm, where we were invited to a media interview session with the invited guests. From a glance, the star power here seemed pretty dazzling, with WCS Ukraine ambassador, Pugoffka, alongside Thailand cosplayers and former WCS contestants Yuki Godbless and JiakiDarkness. Joining them on the table was the representative and Chief Financial Officer for WCS Japan Yasuhiro Takagi, and World of Tanks developer, Sviatoslav Kucheruv, who also happens to be Pugoffka’s husband. After the interview session, we were treated to a photo session. For the rest of the day, there were 2 separate events happening, on and off the stage. 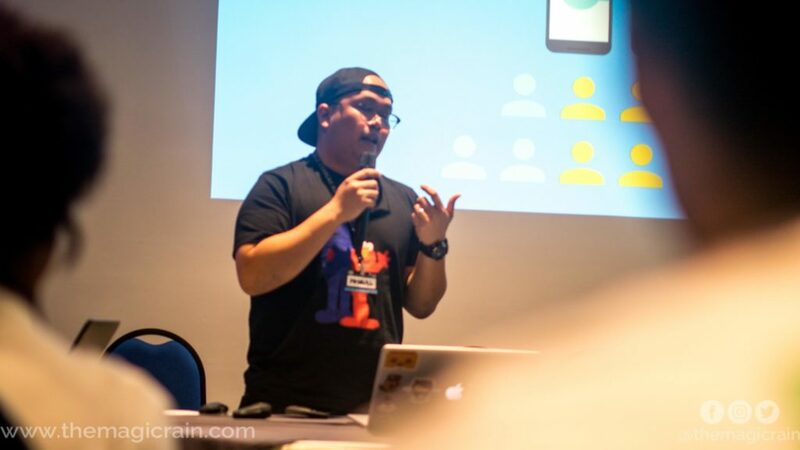 While the stage was fully focused on performances by Yuki & Jiaki, as well as a show by the emcee, Johan Yusof, in the Party Bunker behind the stage, there were talks for aspiring game developers from prominent names in the industry. One of the game development talks happening in the Party Bunker. Day 1 saw the J-KARA and Cure Rookie Cosplay competitions happening on stage throughout the day. J-KARA is a singing contest (J-Karaoke) that saw 8 participants try and sing their way to the top. The Cure Rookie Cosplay competition on the other hand gives a chance for rookie cosplayers to display their skills and show their potential. 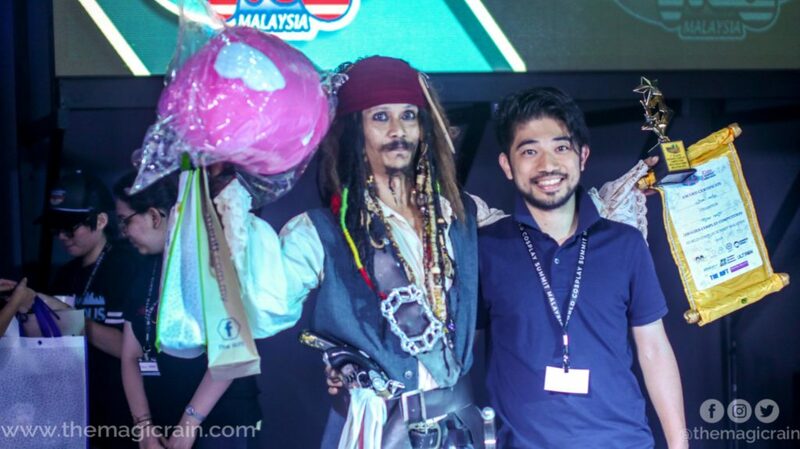 Both contests were extremely fun to watch, and the winner of the cosplay competition was none other than Jack Sparrow, who was so deep into character he maintained the persona even while receiving his award. Definitely a highlight for the day. Captain Jack Sparrow takes home the grand prize for the Cure Rookie Cosplay Competition! Aside from the stage activities, we even got to play some of the games on offer at the Rift, like Beat Saber and Hado. I seem to recall spending at least a couple of hours on Beat Saber due to how fun the game was. Definitely felt like a workout, something I’m not used to. The highlight of Day 2 was of course, the WCS Selection contest. 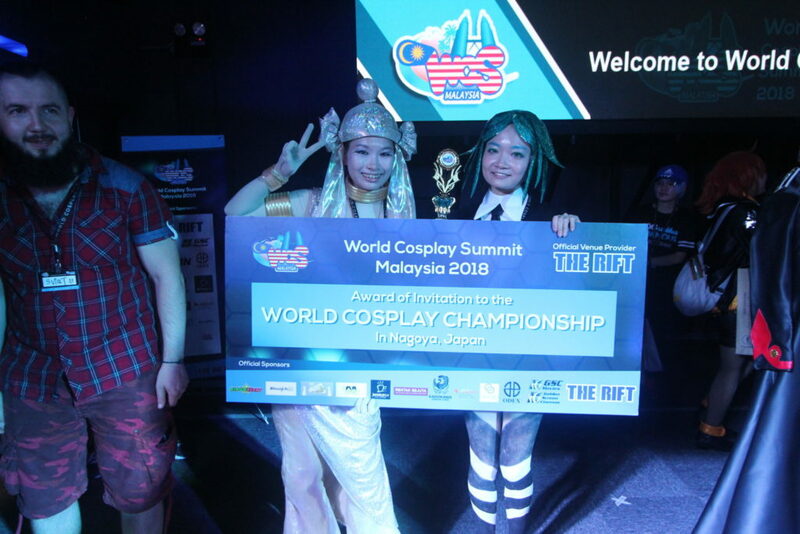 Here were the top hopefuls of the cosplay scene, hoping to score the chance to represent Malaysia in the proper WCS Japan competition and win an all-expenses paid trip to Japan. Each performance was outstanding in their quality and brought out the true potential of the cosplay scene in Malaysia, but there could be only one winner in the end. Team Valkyrie were the ones who ended up taking home the grand prize. Cosplaying Antarctite and Phosphophyllite from Houseki no Kuni, their skit featured impressive props, both on stage and worn/held by the cosplayers, such as the cosplayers’ use of gold cloth and streamers to represent the character’s molten gold limbs (it’s a weird anime). 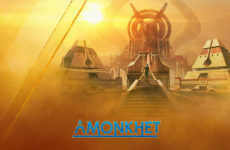 Team Valkyrie’s skit also featured a costume change – the Antarctite cosplayer only having a few seconds to put on the elaborate costume of a Lunarian, the series’ antagonists. Their impressive skit and perhaps their previous experience as C4 2017 representatives helped push them to first place. Another highlight to note during the 2nd day was of course, the amount of smaller activities scattered around the venue. 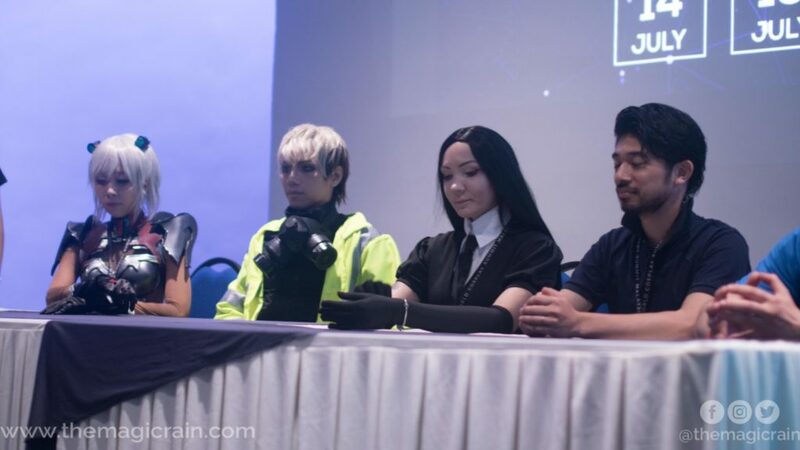 There was a racing simulation contest as well as an exhibition of the augmented reality game, Hado, featuring the comic artists Abam Apam and Kendylife against Sviatoslav and actor and MMA athlete, Peter Davis. It was a fun show to watch! Just outside the venue was a display of merchandise that visitors can purchase. 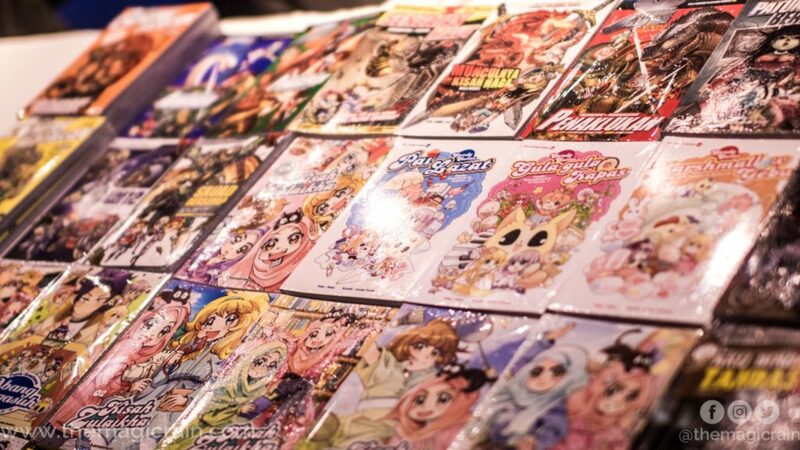 Featuring comics from Kadokawa Gempak Starz, and prints as well as photobooks from Yuki, Jiaki and also Pugoffka, who not only showcased her impressive cosplays but also her awesome photography skills. There was also stuff from the CrestFall Band as well as from Jasmine Minori. Some of the merchandise on offer during the event. WCS definitely showed me that there are some fantastic cosplayers who are just aching for the chance to prove themselves on the international stage. The venue felt nice and cozy, perhaps a little too cold, but at the same time it doesn’t lack in variety of things to do. I’m looking forward to tuning in to WCS and watching our representatives do us proud. 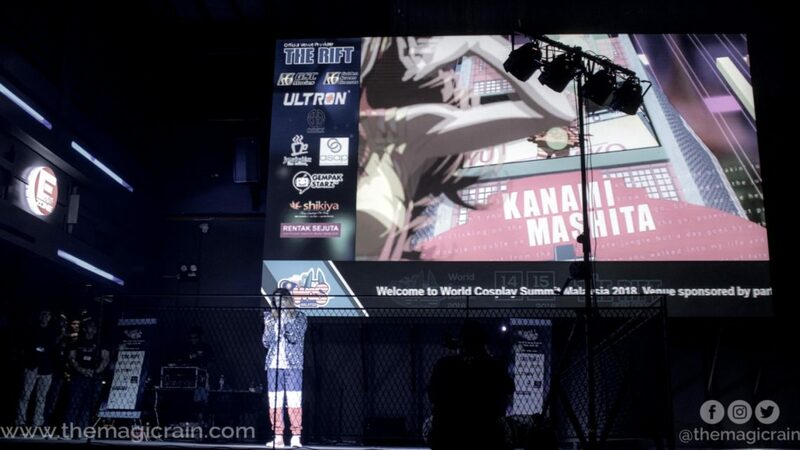 Did you attend WCS 2018? What was it like for you? Share your experience with us in the comments below! 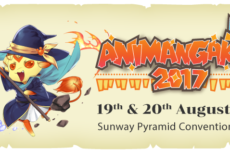 Conquer AniManGaki 2017 with This Survival Guide!